Check off all your must-visit sights on a full-day private London walking tour—ideal for first-time visitors or families. 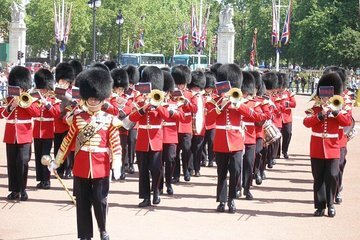 Learn about London’s rich history as you pass landmarks like Big Ben, the Houses of Parliament and Trafalgar Square, pose for photos by Tower Bridge and watch the Changing of The Guard at Buckingham Palace. Customize your tour to suit your interests and enjoy the undivided attention of your guide, with time to see the Tate Modern, St Paul's Cathedral and The Shard, or sample street food at Borough Market.